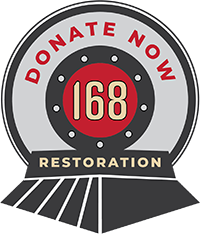 JUNE 6, 2018 – We are happy to report that work on the Locomotive #168 restoration project has been progressing quickly, and that we remain under budget and on time for a completion of the locomotive late in 2019. Project leader Stathi Pappas and his team of skilled locomotive experts and volunteers have made extensive progress since the last update. One of the most visual sub projects in the rehabilitation has been the completion of the wooden cab. This work was undertaken by the Friends of the Cumbres and Toltec in Colorado Springs, and shows a high degree of detail and craftsmanship in the final product. Minor finishing and application of hardware such as handrails, window latches, and hinges remain prior to final painting and installation. In the meantime, work on the locomotive itself has also continued with the lead truck being removed and machining of these running gear components being mostly complete at this time. Wheelsets have been turned, pedestal jaws machined true, axle bearings re-white metalled and bored, etc. This work should be complete by the end of June, and the foundation running gear disassembled for its rebuilding. At the same time, the cylinder saddle has seen continued work such as the disassembly and dimensioning of the cross heads and guides. The pistons and piston rods have also been machined and polished, ring grooves trued, and new rings installed to fit the new bores. Also of great importance are the valves and port surfaces for the valves to seal against. The port surfaces have been machined flat and true using an original port surfacing machine borrowed from a friend of the railroad which worked very effectively. An additional achievement related to the rehabilitation of 168 is the substantial progress made on the first coach to be used for the historic consist 168 will pull. D&RG coach 292 saw completion of its rehabilitation to service in May. This 1881 Jackson and Sharp car saw a complete overhaul and is now available for service, with coach 256 currently in the wooden car shop with an anticipated completion date of June 2020. 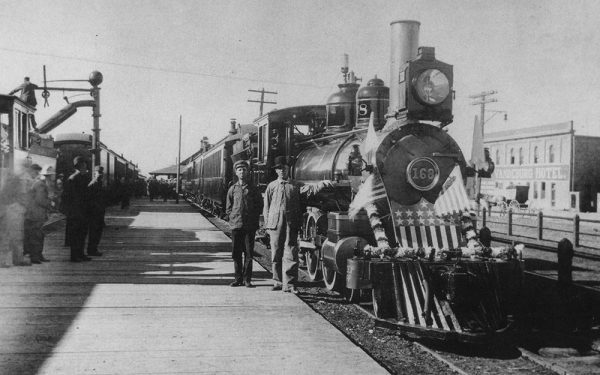 These wooden cars which will total five when the historic consist is complete will allow the 168 to head one of the more significant living history achievements in the railroad preservation industry, a complete historic consist, indigenous to the railroad, recreating the San Juan and New Mexico Express as it would have appeared c. 1916. Finally, grant writing and fund raising continue unabated with the funding necessary to complete locomotive 168 getting close to completion. This renders additional donations very important as they will directly contribute to the completion of the locomotive. Any additional funds generated as part of the campaign will be used to assemble spare appliances and components to assure the ongoing safe and reliable operation of locomotive 168. Once again, we are happy to report that the 168 project is running under budget and on time. Thank you for your support!